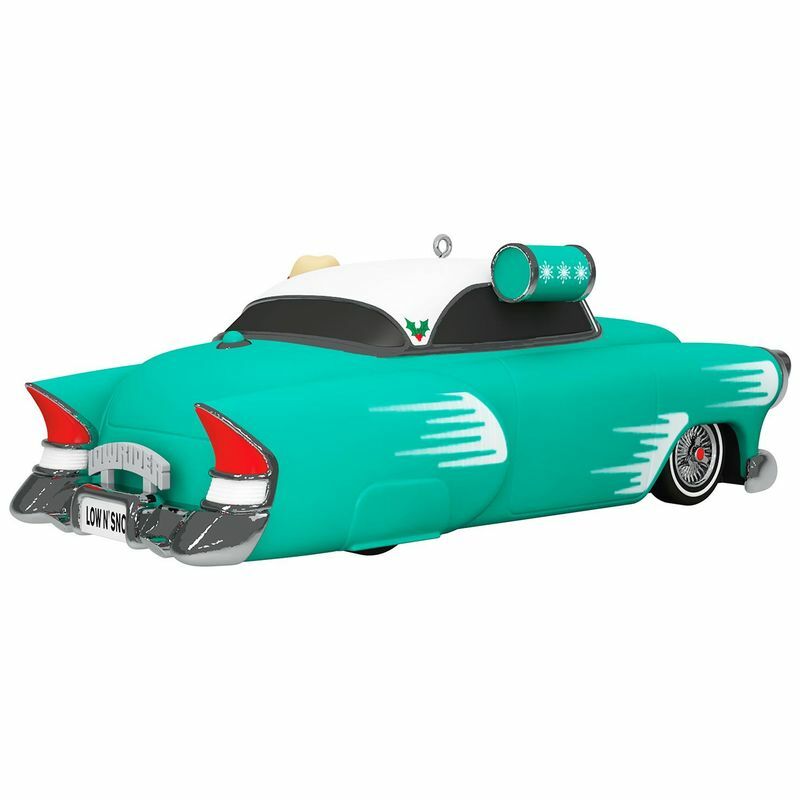 Created in a first-time collaboration between Lowrider Magazine Editor Joe Ray and Keepsake Artist Tracy Larsen, this cool cruiser adds authentic lowrider style to your holiday celebration. 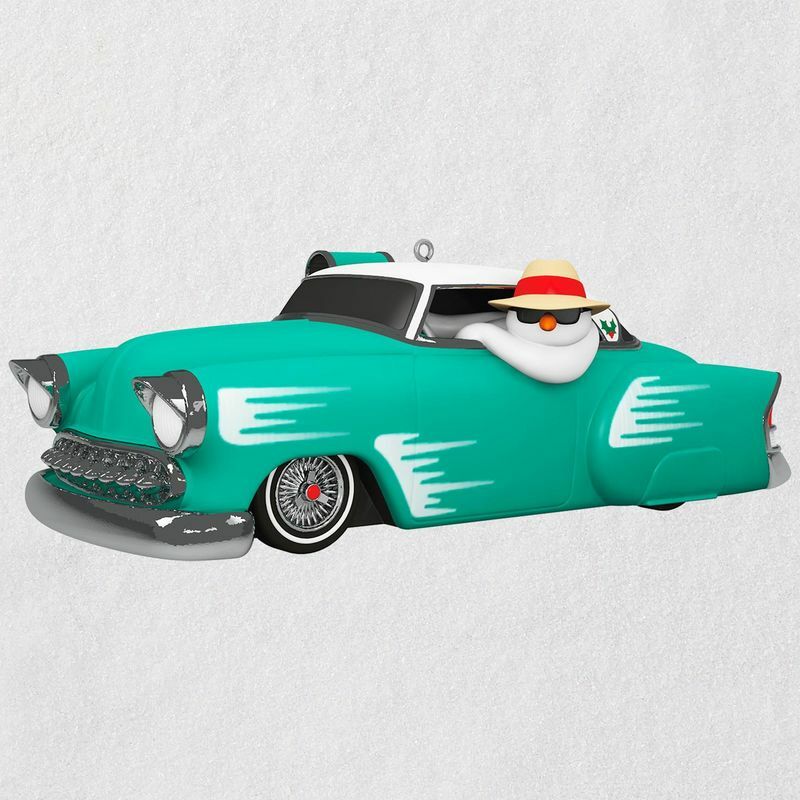 From the slammed stance and custom paint to the shiny wire spoke rims, this Christmas tree ornament is sure to be an instant classic with car enthusiasts everywhere. Press the button to hear music from "Low Rider" performed by War. Battery-operated sound feature includes two replaceable LR44 batteries. Magic Sound Christmas tree ornament. Press the button on the ornament to hear music from "Low Rider" performed by War. Battery operated. Requires two (2) LR44 batteries, included. Plastic Christmas tree ornament is lead-free and measures 2.38" W x 1.74" H x 4.85" D.